Drawcom’s high-speed digitizers maximize the quality of captured wideband signals, in terms of signal-to-noise ratio and spurious-free dynamic range, over a very wide frequency bandwidth. What separates Drawcom’s digitizers from any other similar product in the industry is the ability to acquire and transfer data simultaneously with no breaks in the analog record at sustained high-speed data rates. 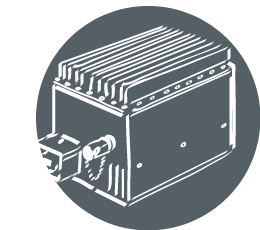 The amplifier modules are suitable for applications in telecommunications, satcoms, radar, countermeasures, EMC, test and measurement, radio astronomy and other highly demanding commercial and military systems. Drawcom series of fundamental frequency phase locked oscillators utilise coaxial resonators (CRO) to 3.4 GHz and dielectric resonators (DRO) to 14 GHz in a phase locked loop with an internal crystal reference. Operated as RF switches, either diode series can be operated at low dc reverse bias voltages, to hold off much higher RF voltage levels.